Robert Fairchild gives a supremely touching performance as The Monster in Mary Shelley’s Frankenstein, which just ended a brief run at the Pershing Square Signature Center in New York City. His role in Eve Wolf’s adaptation is a hybrid of dance (which he choreographed) and acting, and Fairchild, the New York City Ballet alum who spent most of the last couple of years playing Jerry Mulligan in the stage adaptation of An American in Paris, is a great dancer who also happens to be a fine actor. Mary Shelley’s Frankenstein was produced by a company that calls itself Ensemble for the Romantic Century, and Fairchild’s Monster, childlike and exuberant, fragile and openhearted, gets at the Romantic (capital “R”) core of Shelley’s novel, in which a man-made creation struggles to understand his place in the universe and rebels against his creator. This mixed-media event Mary Shelley’s Frankenstein, which also includes Bach, Schubert and Schumann pieces by four musicians (Steven Lin on piano, Kemp Jernigan on oboe, Parker Ramsay on organ and harpsichord, and mezzo-soprano Krysty Swann), is earnest and clumsy. 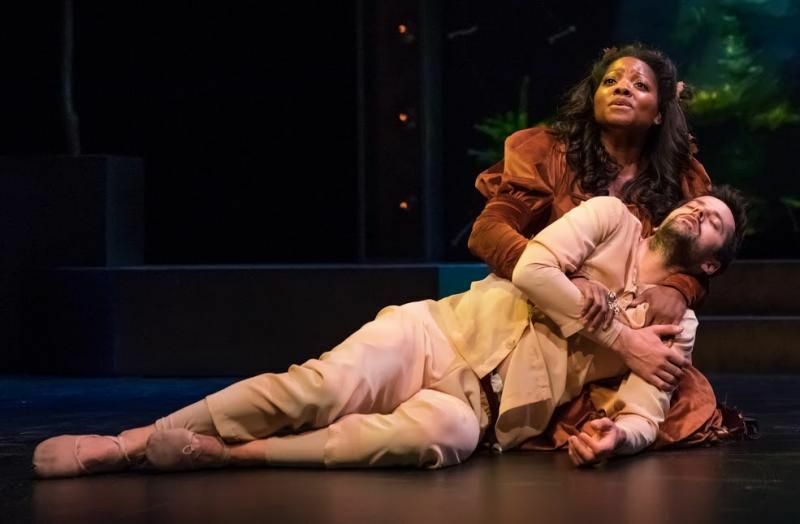 The director, Donald T. Sanders, hasn’t worked out how to bridge the gap between the dance drama and the vocal selections, so every time Swann steps forward to sing, the play shifts uncomfortably into concert mode. Swann is in beautiful voice but she overacts wildly. So does Mia Vallet, who plays Mary Shelley (and, briefly, Agatha, Victor Frankenstein’s fiancée) – and Vallet doesn’t have a trained voice to fall back on, which is unfortunate, since Wolf has given her long, emotional speeches and she hasn’t a clue how to perform them. I looked down in embarrassment during some of them. The play is bizarrely misconceived. Wolf is interested in Shelley’s struggles – with a demanding, famous poet husband (Paul Wesley), an unloving father (Rocco Sisto) and her own depression as she buries one child after another – and the play wants to juxtapose them with the creation of her magnificent novel so that The Monster stands in for both Mary herself and her lost babies. But the book is about a scientist who makes a human being and then abandons him, and since Victor Frankenstein doesn’t work in Wolf’s dramaturgical scheme she simply eliminates him, or nearly. He doesn’t make an appearance until the second act, when the play needs him for the central scene in the narrative, in which The Monster confronts him, quoting from Book Ten of Paradise Lost, where Adam bemoans his fate as a creature fashioned against his will by a God who then found him unworthy and deserted him. And that’s it for Frankenstein; he never shows up again. Shelley ended her story with a fight to the death between creature and creator in the Arctic; Wolf skips right to The Monster’s self-immolation on a funeral pyre of his own making. In a play that presents itself as about owning the things you’ve made, the choice to leave out Frankenstein almost completely goes beyond folly to ineptitude. In Lucy Kirkwood’s The Children, an explosion in a nuclear reactor on the English seacoast has contaminated much of the area, and Rose (Francesca Annis), one of the physicists who built it, decides to recruit some of the others to take over the work of restoring it. Given the level of contamination at the site, it’s a suicide mission; her attitude is that they’re responsible for the disaster, and that the younger scientists who have replaced them should get a chance to live out their lives. 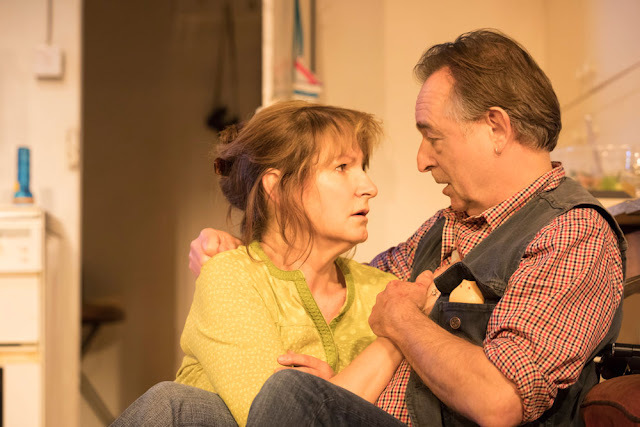 The play, a full-length one-act, is an extended conversation among Rose and a married couple, Hazel (Deborah Findlay) and Robin (Ron Cook), who were her closest co-workers; Rose and Hazel were the only women employed at the reactor in the early days, and Robin slept with both of them. Kirkwood, who also wrote NSFW, a sharp-witted satire about women in the workplace, and the astonishingly broad-backed and complex political drama Chimerica, is one of the best of the current crop of British playwrights; it grieves me that New York audiences are unlikely ever to see Chimerica because Ben Brantley, the leading critic for The New York Times, blithely dismissed it upon seeing the brilliant London production at the Almeida. The Children is intelligent and provocative and under James Macdonald’s direction all three actors give laudable performances. (Findlay is especially good.) But I have to admit that I didn’t like it very much; I found it chilly and uninvolving until the last fifteen minutes or so. A Pinteresque acidity keeps slipping into the dialogue that fights against the humanity of the play’s point of view. I’m a fan of Kirkwood’s, and I wish I’d liked this one better.